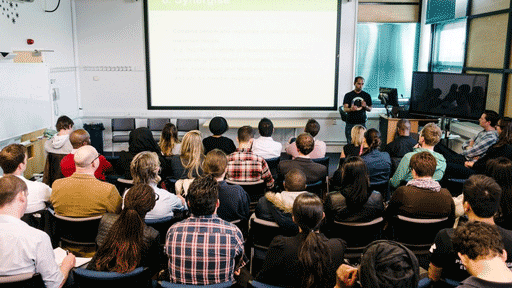 On Tuesday, Accelerator hosted ‘From Idea to App Store’ – a speaker event as part of Digital Shoreditch Open House 2015. We had the chance to hear from a panel of industry experts – Toby Beresford (Founder and CEO of Rise.global) gave a talk outlining the most common mistakes made by app developers. These included putting the user second, not having specific enough goals and trying to go it alone. View the full slideshow here, with a list of bonus resources from Rise. Rajesh Bhardwaj spoke about the 7 habits of successful ‘Appreneurs’ – based on ‘The 7 Habits of Highly Effective People’ by Stephen Covey, showing how these could apply to people aiming to build a successful app. Including, continually asking questions, thinking about your desired outcome, and always keep the user experience in mind! Nicholas Duddy (Founder of Miratrix Mobile App Marketing) covered tips for creating a new app, including advice about what to expect, what to plan for, app store optimization, advertising your app, maintaining a community, and using analytics. Thanks to our panel for a great evening, and to all the 60 attendees! We’re looking forward to hosting more events like this in the future – to stay updated, follow us on Facebook and Twitter, or check out our Events page.